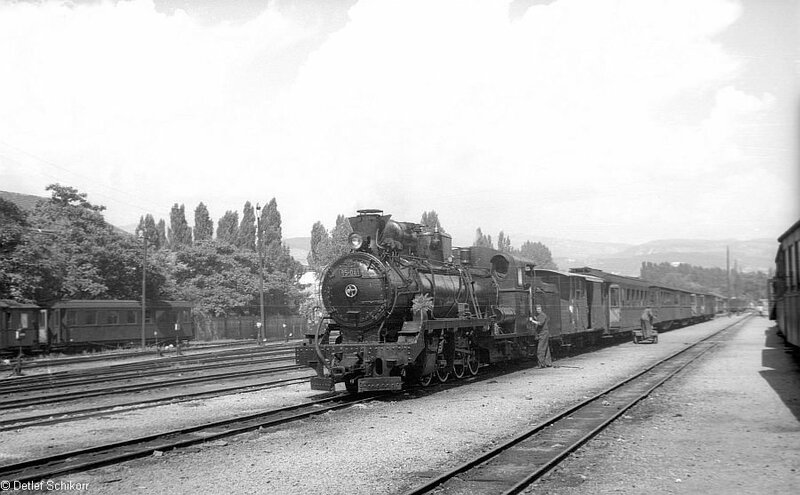 Detlef made two visits to Sarajevo - in 1969 by train and in 1970 by car. 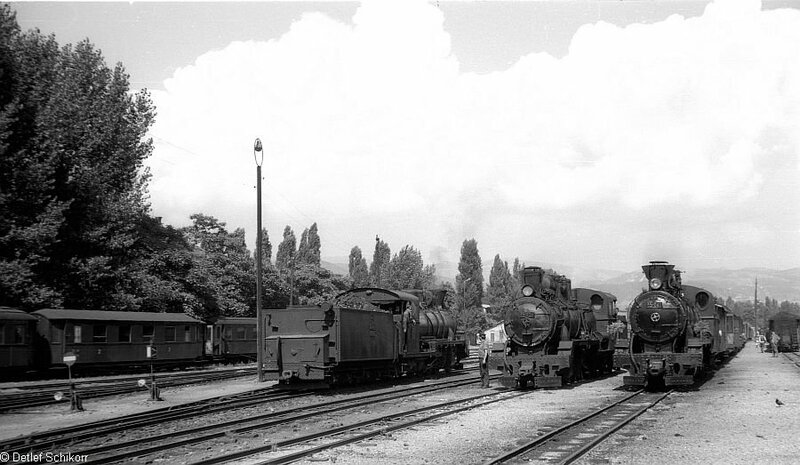 By this time the only narrow gauge line which remained open from Sarajevo was the Ostbahn as far as (Titovo) Uzice. 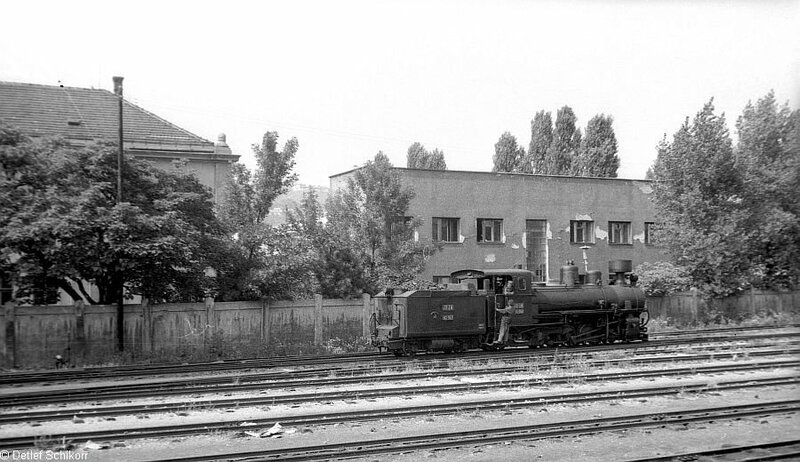 All the photos are taken at the narrow gauge station rather than at the newer Sarajevo Novo where photography was discouraged. 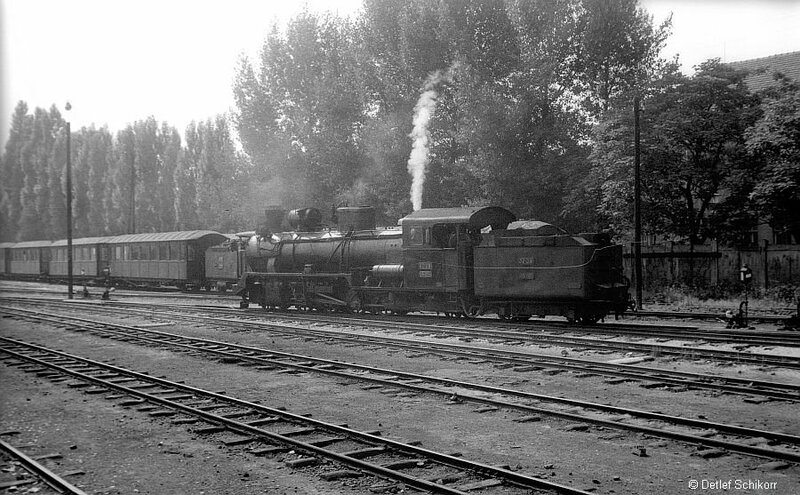 Two views of 0-8-2 83-067 shunting on 20.7.1969. 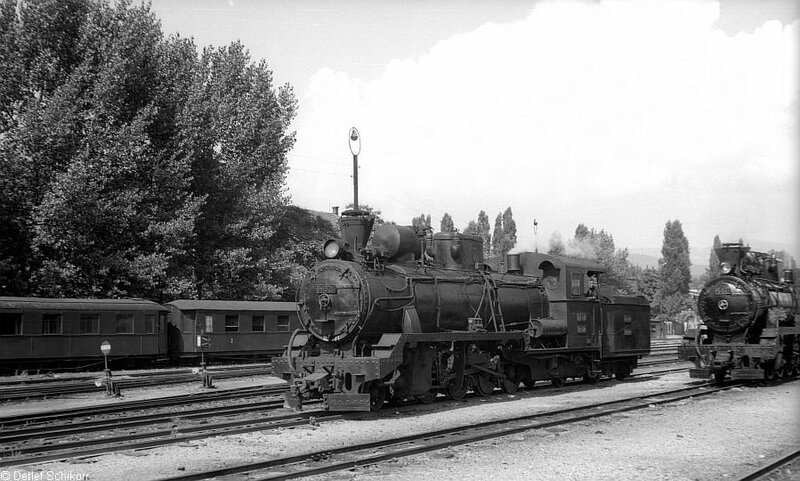 Three views of 2-8-2 85-041 on 20.7.1969. 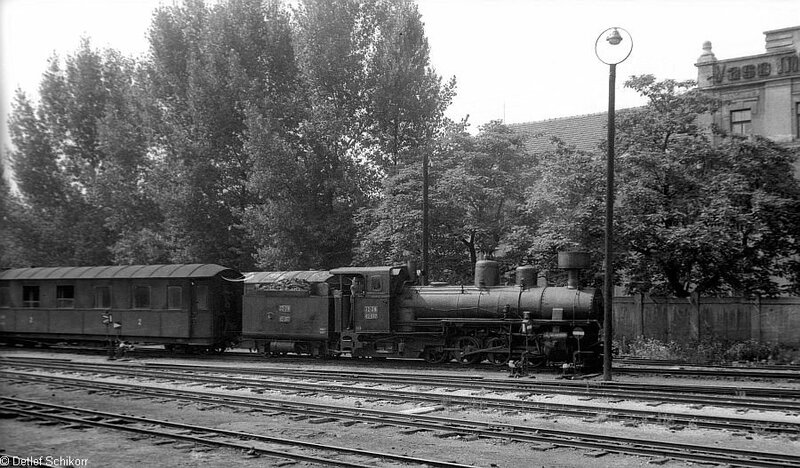 This loco was coupled to one of the smaller tenders usually found behind a Class 83 rather than the more usual bogie one. 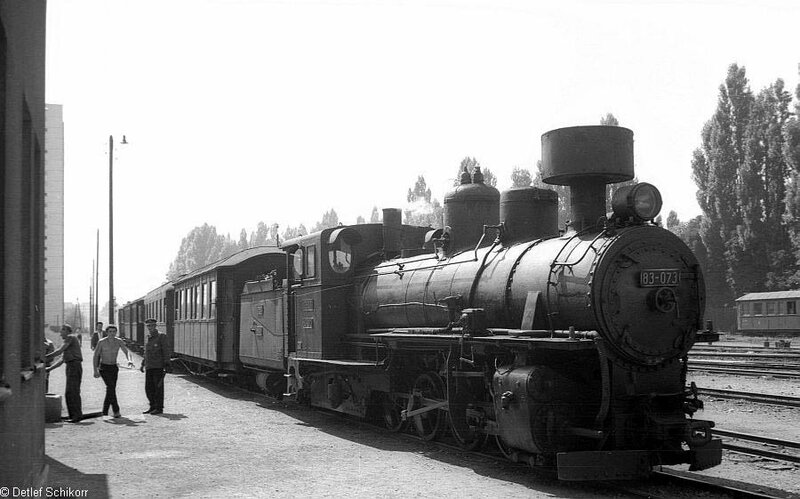 Note the flower displays adorning each side of the smokebox. 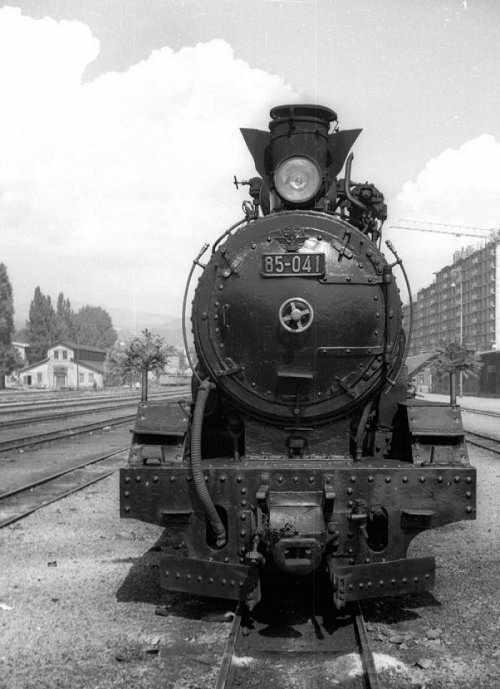 83-073 (Krauss/Linz 6032/1909) on a local passenger train, 23-7-1970. 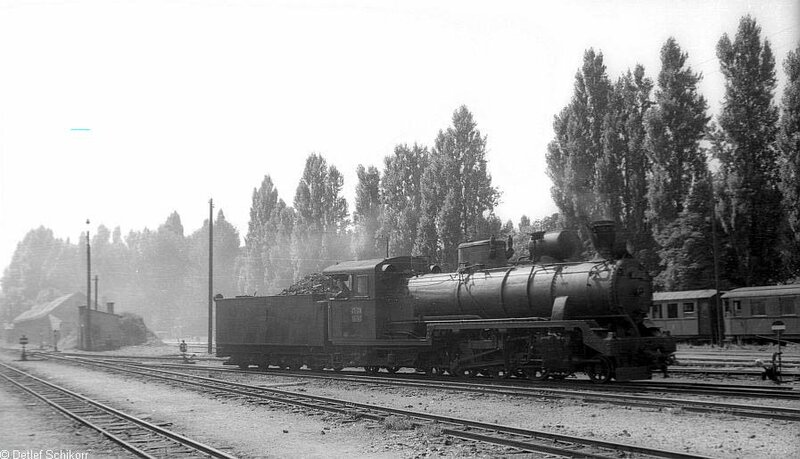 2-8-2 85-042 with its normal tender, 23-7-1970.